Adrien Rabiot reportedly considers Liverpool his first choice option if the next step in his career does prove to be a move to England. The midfielder has been strongly tipped to leave Paris Saint-Germain in January ahead of the expiry of his current contract in the summer. With seemingly no plans to pen an extension, Rabiot has been frozen out by the Ligue 1 champions amid interest from multiple clubs across Europe. Barcelona had looked certain to snap up the Frenchman, although that deal now looks unlikely following the signing of Frenkie de Jong from Ajax for a fee rising to £74.5million. 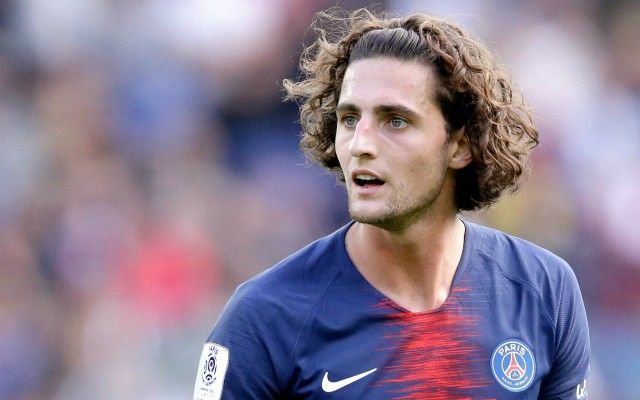 Liverpool also emerged as potential suitors at one point, with French journalist Julien Laurens claiming in September that Anfield officials had contacted Rabiot’s agent over a possible transfer. Premier League title rivals Tottenham are the latest to be linked with the 23-year-old in light of Mauricio Pochettino’s injury crisis. Nonetheless, GFFN claim Rabiot’s ‘preferred destination’ would be Liverpool if a move to England was on the cards. Rabiot is likely to be left disappointed if this is the case, with Jurgen Klopp not expected to add to his squad before the end of the month. Despite rumours from abroad, British sources have always maintained that Liverpool have shown no interest in the Frenchman. Any summer activity on Merseyside is likely to entail the pursuit of another goalscorer as well as the introduction of replacements for a number of fringe players set to leave in search of regular football.